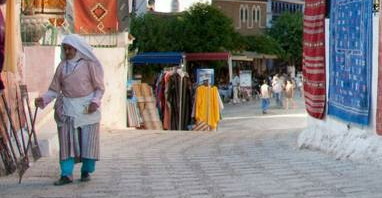 The second film of Crossing Borders Films' intercultural trilogy, The Dialogue was created by Crossing Borders Films and co-produced by Michigan State University. 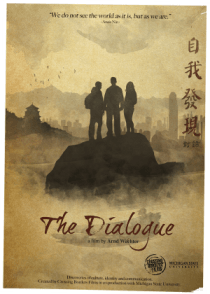 The Dialogue is a 68 minute documentary that follows four American and four Chinese university students as they travel together through Hong Kong and Southwest China. Together the students explore each others' backgrounds and learn cross-cultural communication skills. Their shared travel adventures, the emotion of culture shock, honest confrontations and discoveries about each other become doorways to deepen their understanding of the world, of themselves and of styles of communication that are able to bridge cultural differences. The Dialogue is available now to purchase for both private and public screenings. In collaboration with National Geographic Education, Crossing Borders Films has created a web based tool which explores issues covered in The Dialogue. It is available for free on National Geographic's website.